My friend Erica is a grief counselor for children. A heart-wrenching job, for sure. You enclose these kids in a circle of care, she says, to help them understand what’s happening to them and their world. When she says circle of care, Erica holds up her arms in front of her for emphasis like she’s holding a laundry basket. Their lives are like a basket filled with things that have become soiled but can be made clean again. Erica’s job is to hold the kids loosely, but firmly, until they’re ready to unload their own basket. I see this image of Erica with arched arms often when I think of Girls on the Run. Most recently at last weekend’s race. On the way to the race, the SUV I was driving, loaded with nearly everything we needed for race day, was forced off the highway and into a cement wall, totaling the car. It was my mom’s SUV. She was my passenger. Miraculously, we are both fine. Everything that was loaded into the SUV in an orderly, organized fashion suddenly looked like tornado debris. Somehow, with the help of my great friend Chris who showed up within minutes of being called, we were able to transport the race gear to the park in time for the run. 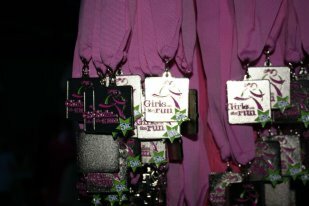 Each girl who participates in Girls on the Run receives a medal when she finishes the race. It’s a mark of accomplishment not only for achieving her race goal but for completing the entire season. I love to see the hanger full of medals strung from our tent, each one waiting to be hung around girls’ necks. This season, we arranged the hanger weeks before the event, just so we could look at it. The medals swayed in the back of the car, streams of blue and pink, and jangled as we drove. When we hit the cement wall, the medals flew off the hanger in every direction and crumpled on the floor. I picked up all I could find and held them in a ragged mound on my lap as Chris drove us to the park. There was no more order, only wrinkled or dirty ribbons speckled with broken glass. I carried them in my arms, a mangled heap, to our set-up site, still a bit dazed, wondering how to recreate order out of what had become chaos. It was then I was reminded of Erica. I put the medals down and stepped away. Dozens of others stepped in and did what they were there to do. The tent and tables went up, gear was organized and distributed, girls and buddies signed in, medals re-hung. There was smiling, laughter, nervous anticipation. Clouds of pink hairspray. And then, girls running. Not alone, but with their buddies. At the finish line, I watched coaches drape a medal around each girl’s neck, followed quickly by a hug big enough to enclose us all. I passed the family twice. A little boy sitting in the yard with his parents, watching runners file by. His dad held a cup of coffee. All three clapped periodically, yelled words of encouragement. Last Saturday’s 10K was a double 5K loop through a hilly neighborhood. This family was just one of many to spend their morning rooting for strangers. The second time around, I looked for them. I was hot and needed support. When I saw the little boy, I ran faster, glad he was there. Two days later, I thought of them again when I heard about the horrendous bombing of the Boston Marathon. Like many this week, I’ve struggled to make sense of it. I can’t. I have tried to imagine what it was like from the perspective of the runners, the spectators. Any way I come at it, I am baffled, to say the least. I have never been a race spectator. I come to races to run, to compete, to enjoy the course, the day. In almost every event I’ve entered, at some point as I’m passing spectators I’ve wondered, what are they doing here? A running event is not like most other spectator events. There’s not a lot of action to follow, no rules to figure out, not even a separate, designated space for the athletes to compete. 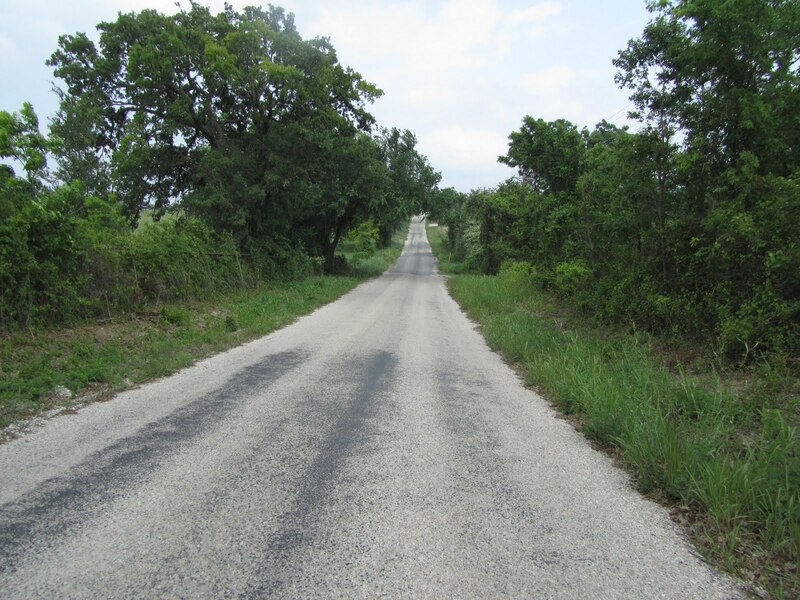 Sure there’s a course, but it’s not for runners only. Anyone can jump in at any time and run with a friend or a stranger, cheer that person on. Running is a relatively simple sport. You go from over here to over there and, in some events, it’s really far. So what’s there to see? People line the streets in a race and practice random acts of kindness—passing out orange slices, hosing down runners when it’s hot, cheering on complete strangers—because they are inspired by what runners do. They come out to see the face of endurance. Running may be a simple sport, but it’s one that requires a tremendous amount of determination. Perseverance. Sometimes, a sheer act of the will to push the body places you did not think it could go. It’s a sport that is simultaneously solitary and sociable. Every runner is alone with her own mind and body, yet leans on the community that has gathered to help push her along. Spectators at a race can get close enough to every single competitor to look endurance right in the eye. They get to witness people reaching a difficult goal, one that takes time, hard work, and self-discipline to achieve. How could that not be inspiring? As it is for the runners who see and hear complete strangers yelling for them. Their energy is like a magnet, pulling you ahead faster and stronger than you would be if they were not there. Who are these people? They show up in the heat or the cold, stand around for hours on end, lose their voice from yelling encouragement. The people who show up for races are the people who show up for you in life. You know that you can count on them to see you through darkness and pain, or happiness and light. They will be there, urging you along. Tomorrow Girls on the Run of Bexar County will hold our end-of-the-season 5K. There will likely be more spectators than girls. We get to witness their determination and see it blossom into confidence when they cross the finish line. I suspect some of them will be running for those who could not finish the race in Boston. All of them will run, buoyed along by the people who will line the way and not let even one of them fall. 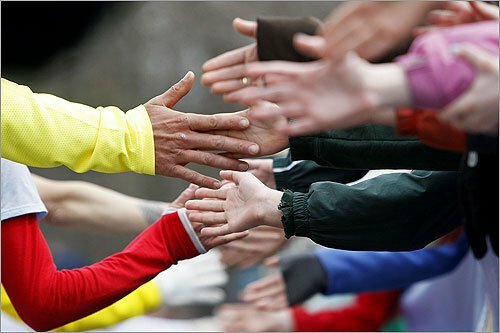 So we join the community of runners in our determination to support each other, and to run. Are You a Loner or a Leaner? If I fall, I will crush them. I looked at the circle of girls the head coach assigned me to. Group A. Fitting. There were only 5 of them but they each had an idea of how this game should proceed, and none were reluctant to share. The day’s Girls on the Run lesson was about community. 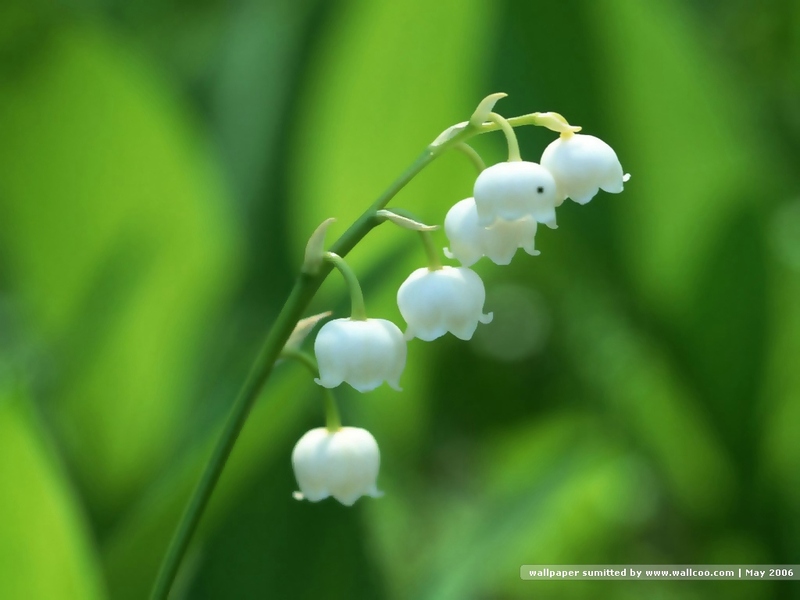 What it is, how it works, the character traits of those involved in one that is cohesive. The game that introduces the lesson involves trust, a key component in working toward a common goal. We must trust each other if we are to succeed. Trust. A necessary trait in any community, including the community of runners, though not one I had thought too much about in connection with running. I have always been a loner, especially as a runner. Running is my time to think, meditate, pray. I need the solitude to plan, dream, vent. As a writer, I need it perhaps most of all—I run rather than sleep on ideas. The concept of a running community—friends to run with or to make while running—is new to me. Until recently, I had not considered that a running buddy could be fun, beneficial, even necessary. Rather than relying on my own determination or perseverance, enlisting a running buddy—becoming part of a community—would require that I learn to depend on others, that I learn to lean. Leaning is an integral part of the game that began that day’s lesson. The object is to demonstrate not only that we can be trusted, but that we can trust others. It requires a kind of letting go. Naturally, I thought, the girls can trust me. Physically I top them by nearly half a person. Their foreheads brush my triceps at best. I would not let them fall. Nevertheless, as each girl had her turn at trust, one was reluctant to play. My heart wrenched as she stepped back from the circle, setting herself apart. But she had to go, the girls insisted. She was part of their team. Afraid to close her eyes and let go, she held her body stiff rather than pliable, insisted on control rather than vulnerability. We convinced her to stay with it long enough to relax, let go. Gradually, her muscles released and her eyes closed. The rest of us smiled as we worked together to keep her safe in the circle. It was a good game, I thought, beginning to break from the circle, happy for the girls’ experience. But wait, the girls squealed, what about you? I stepped back from the circle, shaking my head. If I fall, I thought as I gazed down at the tops of their heads, I will crush you. Don’t worry, they said. We’ve got you.